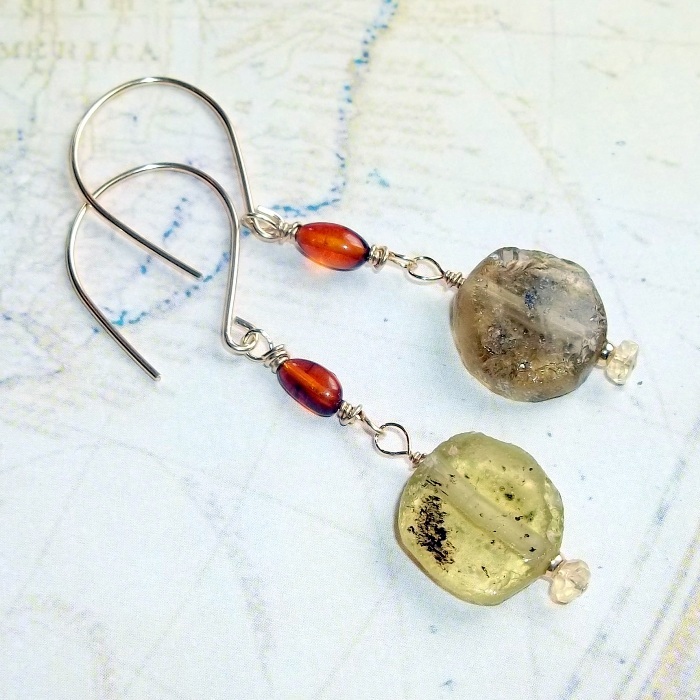 Amber is a gemstone formed by fossilized tree resin that has been used for folk medicine, jewelry, and an ingredient in perfume for ages. Amber is a natural pain reliever, most commonly used in teething necklaces for babies. 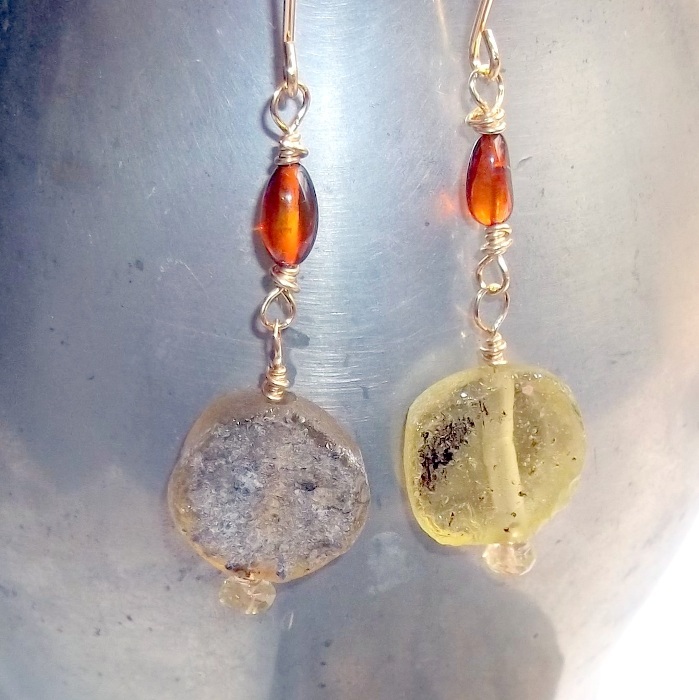 Amber is a stone strongly associated with the sun and warmth, a form of solidified sunlight. 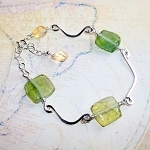 It is a superb gemstone for healing season affective disorder, increasing vitality, and healing from illness or injury. In ancient Greek mythology amber was created when Phaeton, the son of the sun god Helios, was struck by lightening and fell into a river. Phaetons' sisters grief was so great that they became poplar trees and their tears became the amber we know today. 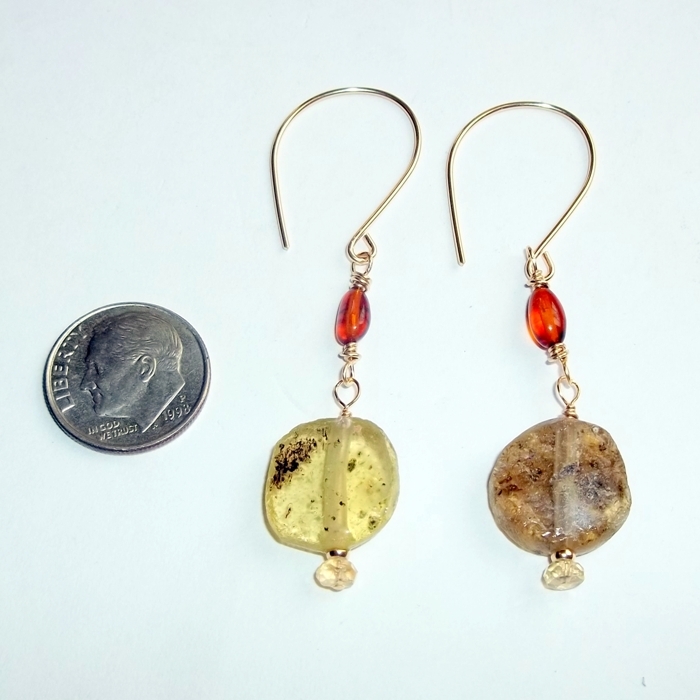 Citrine is a highly protective gemstone that never needs cleansing to re-energize it's powers. 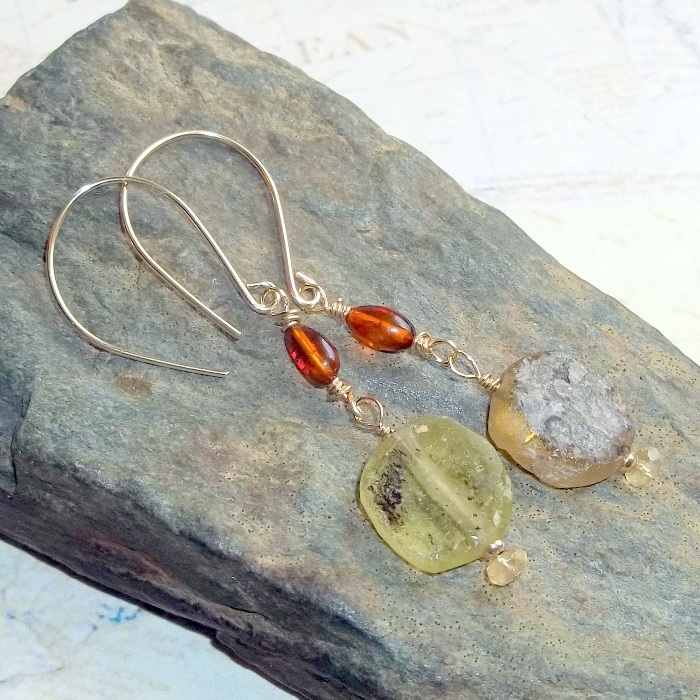 Citrine increases wealth and luck in business, helps us manifest our dreams and wishes into reality, and opens us to the path of love.